Are you ready for a life time Experience? Australia is a very different experience for those who want to go to the ends of the earth. You should expect to stay for one year. The arrangements are similar to the UK but you need to afford your air fare. Many of our families are likely to be in the South east of the country. Most Australian arrangements are for 1 year and you will be expected to honour your contract with the family and not leave to wander around Australia, which is a huge country. At the end of your year you can use your funds for travel if you wish. Which nationalities can apply for Australia? All Au Pairs must meet the below requirements. First you need to complete one of our online application forms. Within 48 hours we will then send a Character reference, Child-care reference and a Medical form for you to fill in. Please return these along with 2 photographs. You will pay a small registration fee, refunded if we are unable find you a family. You will also receive a bonus incentive of at least £30 if you stay for ten months or more. We always have several host families waiting. We do not send out lists of families as we work at matching your requirements with a particular family’s needs. We have checked our families for references from their church leaders. We will write to you to tell you we have received your forms. You will then get a phone call or email from one or more ‘host’ family who will tell you about themselves. You must be able to speak English well enough to at least have a conversation. If you are unsure, you may speak to us on the telephone or SKYPE. We recommend all of our girls to join SKYPE. It is free. The families who telephone you will be our selected families we think best suited to you. However, the final choice of family is yours. They will write you a formal invitation letter or email. You need to wait for this letter before you make your transport arrangements. You will get a contract and also you can ask for a certificate if your parents need to claim benefits back home. 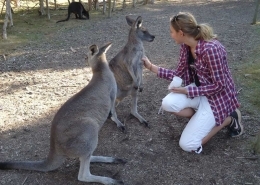 Which type of Au pair? You have 3 options, depending on how many hours you will work and your previous experience with childcare. This can affect how much you will be paid by your host family. You can choose more than 1 option, which can make you suitable to more families. 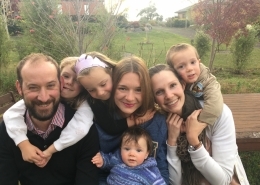 An Au Pair is normally a single person, male or female, aged 17 years or more. You are here primarily to look after children and learn the language as well as being an extra pair of hands. An au pair’s duties might include washing, ironing, light house-work (vacuuming, dusting, washing dishes), meal preparation, taking children to and from play-group/school, and otherwise helping with the children (feeding, bathing, creative activities, homework). As an au pair you can work for up to 25 hours per week, usually 5 hours per day, with usually two days per week completely free, including Sunday. Payment: Usually £80 per week or more depending on the location, and you will get free lodgings and meals. Sometimes the normal 5 hours a day or 25 hours may not be enough for a busy family with two working parents. An Au Pair Plus will still not take care of a baby under the age of two for regular long hours. An Au Pair Plus is normally a single person, male or female, aged 18 years or more. You might help with children and light household chores for around 30 hours per week. While an Au Pair Plus can work more than a normal au pair, the hours should be kept to 30 hours per week during term time, to enable you to attend language classes if you wish. Normal Au Pair Plus duties include childcare, preparing light meals for the children, tidying, washing and ironing, light housework such as dusting, sweeping/mopping and vacuuming, cleaning the kitchen or bathroom. Jobs which are not considered routine light housework include wiping down skirting boards and paintwork, polishing brass or silver etc. Your family will give you a timetable and the total number of hours they expect you to work. Traditionally the Au Pair’s work is at least 50% child related, so any variation on this needs to be discussed and agreed with you in advance. If you will be the only person doing most of the weekly housework, or if the job involves little or no childcare, you should tell us. Some male Au Pairs may be willing to undertake outdoor tasks instead of doing indoor housework. Payment: Usually £90 per week depending on the location, and you will get free lodgings and meals. A Mother’s Help is not normally a formally qualified nanny but is an experienced childcarer usually aged 18 or more with references to show that they have good childcare experience. Normal working hours would be a maximum of 40 hours a week with weekends free. A mother’s helper may also care for a baby or young child if they have 50 hours experience or qualifications. The timetable and responsibilities for a mother’s helper will be agreed with the agency beforehand. The payment you will receive is from £110 per week depending on the location and your experience, and you will get free lodgings and meals.instead of doing indoor housework. Payment: Usually £110 per week depending on the location and your experience, and you will get free lodgings and meals. This payment is required in order to register with us. Please make this payment AFTER we have replied to your application form. My new Australian family home. 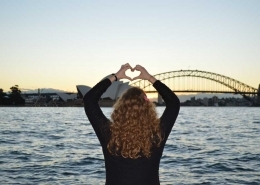 https://christianaupairs.com/wp-content/uploads/2018/06/Australia_T1.jpg 900 1200 leahmaarit https://christianaupairs.com/wp-content/uploads/2018/06/CAP-Header-logo-01-1-300x138.png leahmaarit2018-06-16 11:53:232018-06-16 11:53:23My new Australian family home.